Keep coals corralled in a container with a lot more character than your typical bag. We are one of the eminent manufacturers and exporters of Metal Storage Bins for many years. 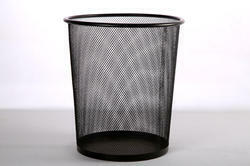 Our bins are featured with heavy duty performance with reinforced base, sides and sturdy stacking rim. Made from supreme grade base materials, these Storage Bins are widely used for storing fruits, vegetables and fresh agro products. To meet the requirements, we are involved in offering a wide array of Stackable Metal Bins . These Die Storage Racks are extensively used for various suitable applications and we designed these Die Storage Racks as per the specific requirements of the customers. Die Storage Racks are available in different sizes.